Auch wenn die Wartungsarbeiten für den Übergang von Heroes of the Storm auf die normalen Regionen des Battle.Nets aktuell noch nicht vollständig abgeschlossen wurden, können Spieler bereits jetzt den Patch 32455 als neues Update für diesen Titel herunterladen. Dieser neue Patch beinhaltet unter anderem einige neue Reittiere, zwei neue Helden und eine Reihe von Promo Items aus verschiedenen Quellen wie beispielsweise die Blizzcon. Das neue Update für Heroes of the Storm beinhaltete einige Bilder zu Promo Items. Dazu gehört unter anderem der Charakter „Valla“ für alle Käufer von RoS, das Mount von der Blizzcon 2014 und weitere Belohnungen. Dieser neue Patch für Heroes of the Storm beinhaltet die neuen Helden Anub’arak und Azmodan. [D] Scarab Host – Trait Spawn a Beetle at Anub’arak’s location whenever he casts a spell. Beetles last for 10 seconds, attacking nearby enemies for 16 damage. Q] Impale – 65 Mana Cooldown: 12 seconds Deals 220 (68 + 8 per level) damage. Stuns for 1.25 seconds. W] Harden Carapace – 35 Mana Cooldown: 8 seconds Duration: 3 seconds Gain a 720 (150 + 30 per level) point shield. [E] Burrow Charge – 65 Mana Cooldown: 14 seconds Burrows to location, dealing 470 (128 + 18 per level) damage and briefly stunning enemies in a small area upon surfacing. Can reactivate the Ability to surface early. R] Locust Swarm – 100 Mana Cooldown: 100 seconds Duration: 8 seconds Deal 180 (28 + 8 per level) damage per second in an area around Anub’arak. Each enemy damaged heals Anub’arak for 50 (12 + 2 per level) health. R] Web Blast – 70 Mana Cooldown: 45 seconds Wraps target enemy Hero in a cocoon for 5 seconds. Enemies wrapped in the cocoon are unable to act and untargetable. Allies of the Hero can attack the cocoon to break it and free them early. [D] General of Hell – Trait Cooldown: 30 seconds Summon a General of Hell at an allied Mercenary, Minion, or Summon. The General will march with the target, granting 15% increased damage and 15% increased maximum Health to all nearby friendly Mercenaries, Minions, and Summons. Unlimited range. Q] Globe Of Annihilation – 60 Mana Cooldown: 8 seconds Shoot a globe of destruction, dealing 320 (73 + 13 per level) damage on impact. Long range. W] Summon Demon Warrior – 40 Mana Charge Cooldown: 10 seconds Spawn a Demon Warrior that marches toward a point. Warriors have 800 (230 + 30 per level) Health and attack for 80 (23 + 3 per level) damage. Last 10 seconds. [E] All Shall Burn – Mana: 16 per second Cooldown: 6 seconds Channel a death beam on an enemy dealing 60 damage a second. The damage amount grows the longer it is channeled, to a maximum of 120 damage per second. Does 25% more damage to Structures. [R] Black Pool – 60 Mana Charge Cooldown: 20 seconds Create a pool that empowers Azmodan, his Demons, and allied Minions, increasing their attack and ability damage by 75% . Pools last 5 seconds. R] Demonic Invasion – 100 Mana Cooldown: 100 seconds Rain a small army of Demonic Grunts down on enemies, dealing 20 damage per impact. Demon Warriors deal 60 (22 + 2 per level) damage and will die from 4 attacks. Damage is doubled versus non-Heroic targets. Diese drei Wölfe bestehen jeweils aus Gold, Silber und Bronze und stehen mit dem vor einigen Monaten entdeckten „Founder’s Pack“ in Verbindung. Dieses Reittier scheint bei einigen größeren Helden das normale Pferd als Mount zu ersetzen. Bei diesem Tier handelt es sich um ein Zebra mit der Maske des Hexendoktors. [D] Fortifying Brew – Combat Trait Cooldown: 5 seconds Drink from your keg, gaining 30 Brew and 520 (64 + 24 per level) temporary Shields per second, up to a maximum of 1560 (192 + 72 per level) while drinking. Shields persist for 2 seconds after you stop drinking. Combustion – Now deals damage to brew-soaked enemies immediately rather than over time. [D] Rockstar – Now specifies that it only works on Basic or Heroic abilities. Echo Pedal – Now specifies that it only works on Basic or Heroic abilities. [Q] Healing Brew – No longer restores mana to allied heroes. Psi-Op Rangefinder – Now also reduces the cooldown by 2 seconds. Booster Shot – Booster Shot Hitting an enemy Hero with Snipe refunds 50% of the Mana cost. Killing an enemy Hero with Snipe refunds 100% of the Mana cost. Focused Fire – Focused Fire Reduces the cooldown of Pinning Shot by 1 second every time Nova deals damage to the enemy slowed by Pinning Shot. Covert Ops – Covert Ops Reduces the mana of Pinning Shot by 5 for every second you are cloaked (to a minimum of 0). Digital Shrapnel – Now also reduces cooldown of Holo Decoy by 2 seconds. Hot Shots – Hot Shots (Trait) Your Basic Attacks are 3 times slower, but deal 330% total damage. One in the Chamber – One in the Chamber After using an ability, your next Basic Attack deals 50% additional damage. Advanced Cloaking – Removed: Regenerate 1.17% Health per 2 seconds while cloaked. Advanced Cloaking – Now regenerates basic ability cooldowns 25% faster. Double Fake – Double Fake Casting Holo Decoy creates an additional Decoy at your current location. Decoys now have movement AI. Railgun -Now also reduces the cooldown of snipe by 1 second for each target hit. Farsight – Now specifies that target area is revealed for 10 seconds. [R] Commandeer Odin – Now temporarily restores you to maximum Health. Searing Attacks – Searing Attacks Cooldown: 25 seconds Activate to increase Basic Attack damage by 50% for 5 seconds. Each attack costs 5 Mana. Big Red Button – Now deals massive damage. [D] Hunter’s Mark – Can no longer be used on structures. [W] Double Bombs – Skillshot Cooldown: 12 seconds Flings a Singularity Spike that sticks to the first enemy hit. Deals 100 damage after 1 second and slows the enemy by 40% for 3 seconds. In den englischen Patchnotes sind die einzelnen Reittiere in verschiedenen Bundles erhältlich. So ist zum Beispiel das Schwein durch Gold kauf verhältlich. 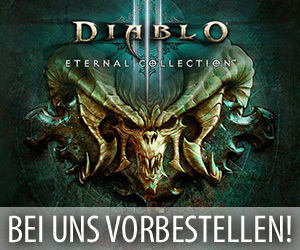 Dort ist auch interessanterweise die Rede von „Starter Bundle“, „Battle Bundle“ und „Nexus Bundle“. Scheint als wenn es wirklich ein „Founder’s Pack“ geben wird.